The global financial crisis hit the world in a remarkable way in late 2008. Many governments and private sector organizations, who had considered Public-Private Partnerships (PPPs) to be their future, were forced to rethink their strategy in the wake of the crisis, as a lot of the available private funding upon which PPPs relied, was suddenly no longer available to the same extent. At the same time, governments and international organizations, like the European Union, were striving to make closer partnerships between the public sector and the private sector economy a hallmark for future policy initiatives. This book examines PPPs in the context of turbulent times following the global financial crisis (GFC). 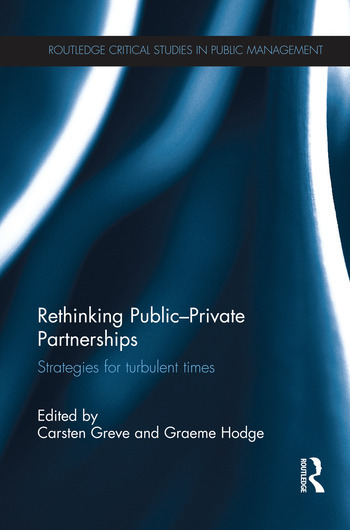 PPPs can come in many forms, and the book sets out to distinguish between the many alternative views of partnerships; a project, a policy, a symbol of the role of the private sector in a mixed economy, or a governance tool - all within a particular cultural and historical context. This book is about rethinking PPPs in the wake of the financial crisis and aims to give a clearer picture of the kind of conceptual frameworks that researchers might employ to now study PPPs. The crisis took much of the glamour out of PPPs, but theoretical advances have been made by researchers in a number of areas and this book examines selected new research approaches to the study of PPPs.